Brendan Taylor was given one final reminder of how frustrating it can be to play for Zimbabwe: in his final match before he goes Kolpak, Taylor scored an excellent century to rescue Zimbabwe from 33 for 3, then saw five wickets fall for 52 after him; with the ball Zimbabwe had India down at 92 for 4, but then the fielding let his side down to lose with seven balls to spare. This was India's biggest test so far. Taylor's 138 off 110 balls, only the first time a Zimbabwean has scored back-to-back hundreds in a World Cup, set India their highest chase, the top order failed, but then Suresh Raina was dropped on 47 at a stage when the game was in balance. Raina and MS Dhoni then proceeded to take their winning streak in World Cups to 10. Taylor, Zimbabwe's best batsman for a while now, and his heir apparent Sean Williams came together in familiar circumstances, that of opposition quicks dominating their batting. All three Indians had taken a wicket each, but the recovery fashioned by Taylor and Williams was so good they were left disappointed with the final total. 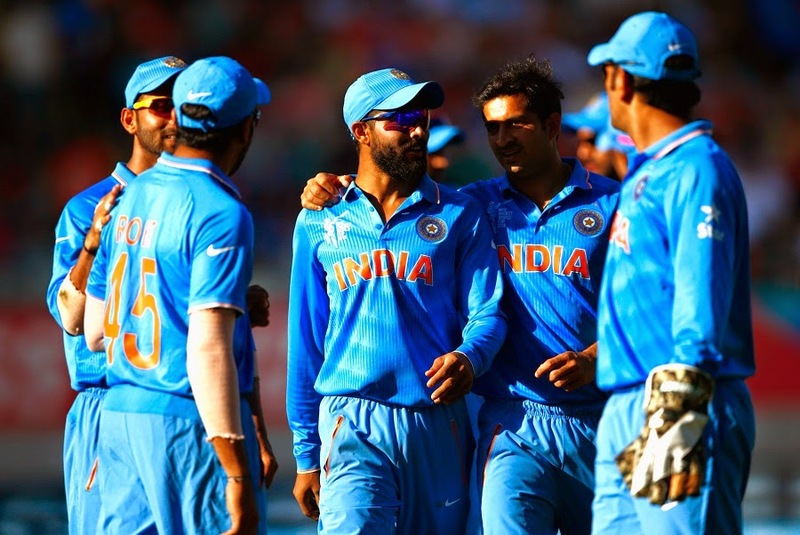 It was thanks mainly to Mohit Sharma's slower balls that India bowled out their sixth straight opposition. Mohit got rid of Taylor and Craig Ervine, and Umesh Yadav and Mohammed Shami ran through the rest to not even let Zimbabwe bat 50 overs. Put together the three quicks took nine wickets for 139 runs.